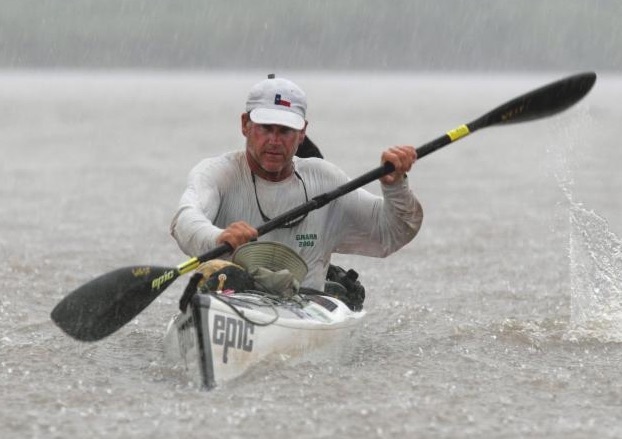 Austin, Texas, paddler West Hansen will trade Amazon tropics and Russian waves for crushing ice and polar bears next summer, when he attempts to lead the first expedition to kayak the Northwest Passage. Hansen, 56, made the longest source-to-sea paddling descent of the Amazon River in 2012 and the first descent of the Volga River in Russia two years later. Team members include veteran paddlers Jeff Wueste, 57, and Jimmy Harvey, 55. Launching in summer 2019, they'll cover 1,900 miles, half of which have never been kayaked. 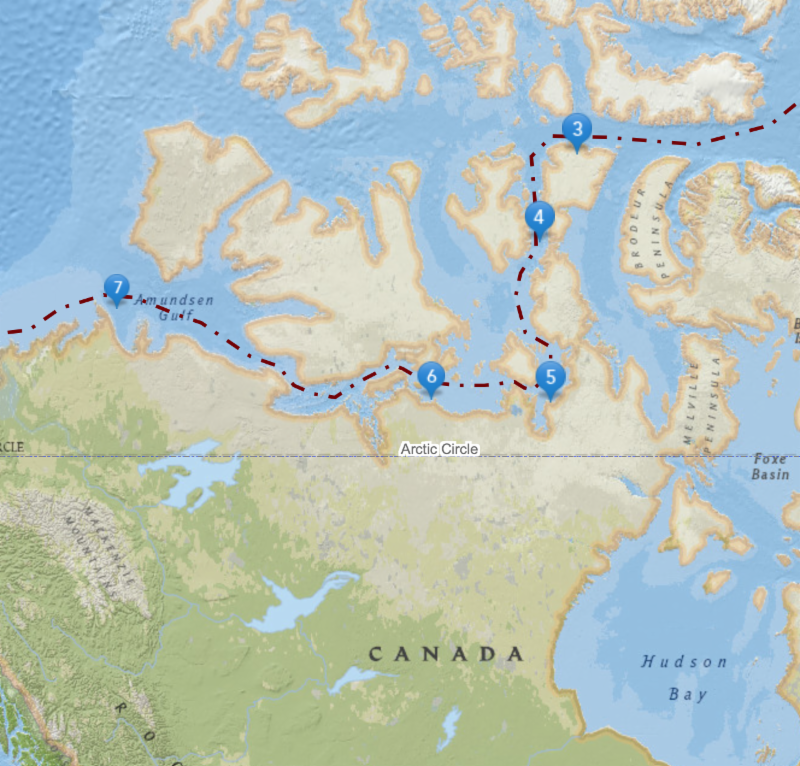 The team will follow the same east-to-west route that explorer Roald Amundsen took during his landmark three-year navigation of the passage, completed in 1907, starting in Baffin Bay and finishing at the Beaufort Sea. Along the way, Hansen will monitor plankton and jellyfish populations, and record ice coverage. "(Firsts) are getting more and more rare, and it's pretty special doing something no one's ever done," Hansen says. The paddlers will face gale force winds, car-sized slabs of ice and pummeling waves, plus orcas and polar bears. "You can't fire a gun (to spook them) because it sounds like cracking ice and polar bears are used to that," Hansen says, noting that the team will carry satellite phones, emergency beacons, firearms and screaming flares to ward off 2,000-pound predators. "It's been attempted several times, but no one's ever come close to accomplishing it," says Hansen. "We have a lot more experience in long distance expedition paddling than anybody else who's tried. And we're older, which is always a bonus." The expedition is expected to take 60 days and will cost nearly $75,000. Hansen is looking for sponsors, and can be reached via west@westhansen.com. Pam LeBlanc is an Austin, Texas-based freelance writer specializing in adventure travel, fitness and conservation. She will join the expedition as an embedded journalist. The world watched as two significant achievements in space exploration occurred within the past month, starting with history's farthest exploration. NASA's New Horizons spacecraft, about the size of a baby grand piano, flew by a small, distant world in the Kuiper Belt on New Year's Day. The object studied, officially designated 2014 MU69 and nicknamed Ultima Thule, is 4 billion miles from Earth. No spacecraft has ever explored a world so far away. It was a suitable encore to the same spacecraft's last historic mission 3-1/2 hyears ago - recording the first high definition images of Pluto. The highest definition photo so far of the minor planet Ultima Thule in the Kuiper Belt. The first images to arrive were only a vague blur taken during the approach, leaving its exact shape a mystery: did it look like a bowling pin, or was it perhaps two small objects orbiting each other? This photo, which followed the next day, has revealed the object to be a cluster of two fused objects, a "contact binary," in the shape of a snowman. Several weeks before, the New Horizons team offered people around the world the opportunity to "beam" their name and a choice of messages, at the speed of light, toward New Horizons and Ultima Thule on flyby day. Some 30,500 people ultimately signed on. "Happy 2019!" was the top choice, selected by 8,100 participants, followed by "Keep on Exploring!" sent by 6,800 participants. Transmitted on New Year's Eve from the satellite communications facility at the Johns Hopkins Applied Physics Laboratory in Laurel, Maryland - where New Horizons was built and is operated - the signals carrying the messages reached New Horizons just hours before the flyby, then continued on past Ultima Thule and through the Kuiper Belt. "Never before has the public had an opportunity to have their names and messages across our entire solar system on the historic day of the farthest exploration of worlds in human history," said New Horizons Principal Investigator and "Beam Me" project originator Alan Stern, of the Southwest Research Institute, Boulder, Colorado. New Horizons' closest approach to Ultima Thule occurred at 12:33 a.m. EST on Jan. 1, when it zipped approximately 2,200 miles from the object. 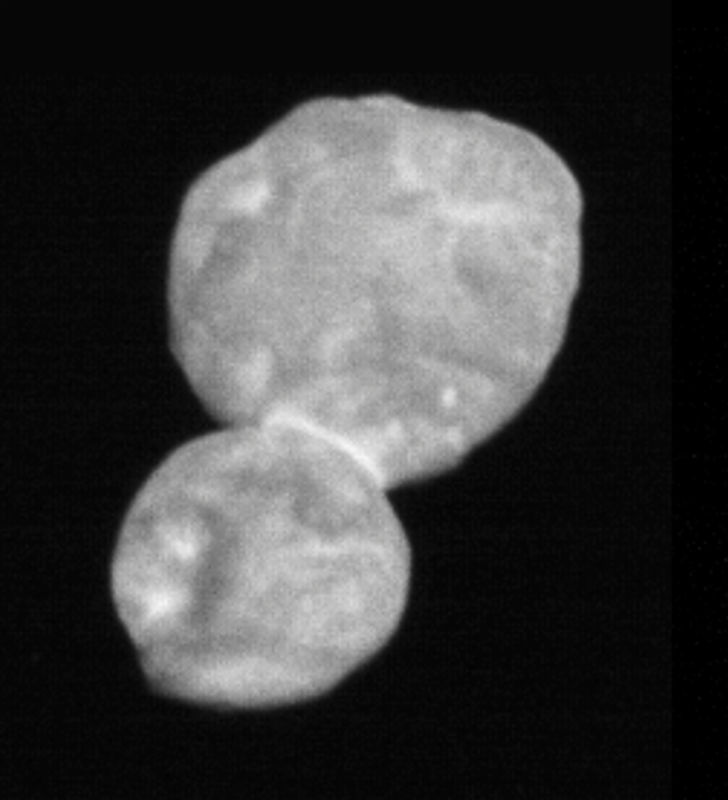 The spacecraft sent back the first close-up images of its Kuiper Belt target in the following days, confirming that Ultima Thule is a contact binary, and offering tantalizing hints of the science to come. 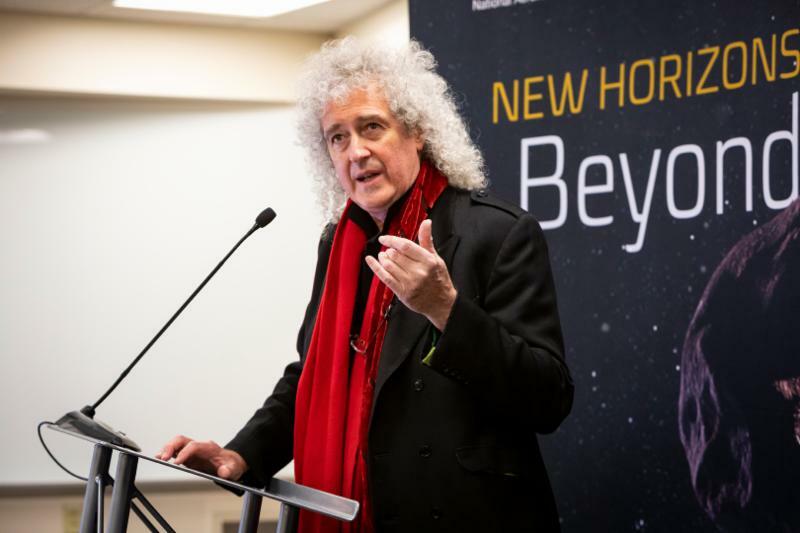 Dr. Brian May, astrophysicist, New Horizons participating scientist and Queen lead guitarist, speaks with media at the Johns Hopkins Applied Physics Laboratory in Laurel, Maryland, on Dec. 31, 2018. Further testament to the project's popularity among the general public, is the reaction to an original song created by Brian May, lead guitarist of the rock band Queen, who also happens to be an astrophysicist. It's May's personal tribute to the on-going NASA New Horizons mission. What led a legendary rocker to become an astrophysicist is perhaps a story for another time. Reached while on a much-deserved vacation in Australia, Stern tells EN, "The exploration of Ultima Thule is behind us, but the scientific results are almost all ahead, as less than 1% of the data from New Horizons has been downloaded as of today, Jan 9. Data will continue to stream back for 20 months to unlock Ultima Thule's secrets." Stern continues, "The media reaction to the exploration we did - the farthest exploration of worlds in history - was fantastic. Hundreds of front pages like the NYT; documentaries by no less than NOVA, NHK, BBC, and others; coverage on daily newscasts by CDB, CNN, PBS, NPR, and many more. We are very pleased to have explored, to have learned, and to have raised awareness across the world for scientific exploration." Even though the flyby took place on January 1, the images are just starting to trickle in. The data has a long way to travel. Ultima Thule itself is 43 times further away from the Earth than the Sun, so it takes over six hours to send a signal back to Earth. That number will only increase as the New Horizons probe travels yet farther away. In a related story, a Chinese spacecraft has become the first to land on the far side of the moon in another historic moment for human space exploration. The successful touchdown earlier this month was hailed as a major technical feat and is seen as an important step towards China's wider ambitions in space. The robotic probe Chang'e 4 landed in the unexplored South Pole-Aitken basin, the biggest known impact structure in the solar system, at about 2:30 a.m. GMT on Jan. 3. Prior to confirmation of the landing and the release of the first close-up shots of the far lunar surface by the Chinese state broadcaster CCTV, many details of the mission, including the planned timing of the landing, had been kept secret. The landing was described as "an impressive accomplishment" by NASA administrator Jim Bridenstine. On October 24, 1901, Annie Taylor was the first person to conquer Niagara Falls in a barrel. After climbing inside her airtight wooden barrel, the air pressure was compressed to 30 p.s.i. with a bicycle pump. Though bruised and battered, Annie made it. She expected fame and fortune but, alas, died in poverty. This winter, 71-year-old Frenchman Jean-Jacques Savin is hoping for a much happier ending. Earlier this month he set off across the Atlantic Ocean in a large orange barrel, hoping to float to the Caribbean by the end of March. 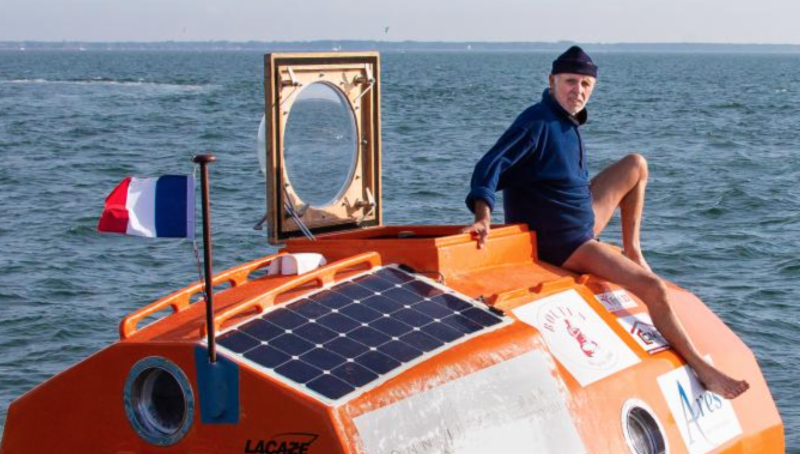 He is traveling at "two or three kilometers an hour" (one to two miles an hour) and intends to (literally) barrel his way across the ocean, attempting to reach the Caribbean with only ocean currents and trade winds propelling his 10-ft. capsule, according to a Facebook page set up to document his project. The craft is smaller than a pickup and held upright by concrete ballast. Savin's ocean crossing is hardly a barrel o' fun. The vessel includes a small kitchen and bed, and space for storage. Savin is dropping markers on his way to allow international marine observatory organization JCOMMOPS to study ocean currents. 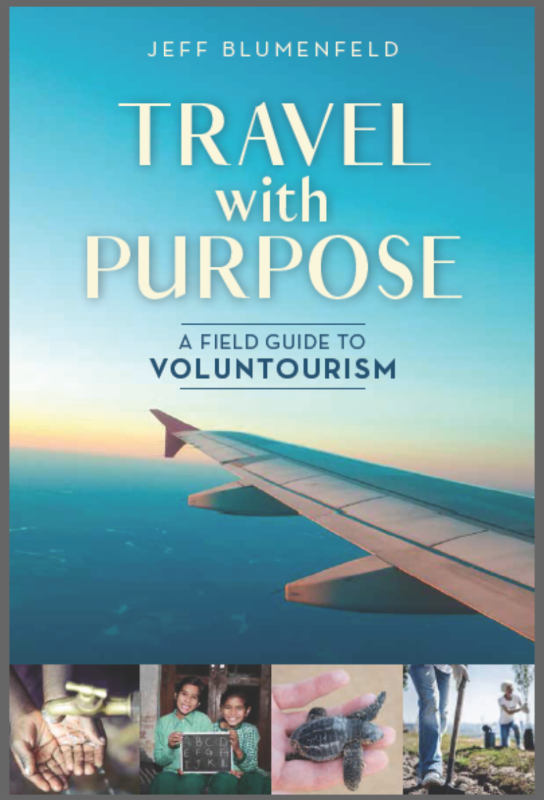 On his project's website, Savin - a former military parachutist, pilot and park ranger in Africa who has already crossed the Atlantic four times using a sailboat - described his venture as a "crossing during which man isn't captain of his ship, but a passenger of the ocean." Savin's 55,000-euro (or $62,000) project has been funded by sponsorships, including two French barrel makers, and a crowdfunding campaign. - Vincent Van Gogh (1853-1890), Dutch Post-Impressionist painter who is among the most famous and influential figures in the history of Western art. Amidst all the depressing news of politics and international conflict came an uplifting report late December that two adventurers, nearly neck and neck, achieved a grueling traverse of Antarctica. Man against the elements, facing the worst conditions Antarctica threw their way. Certainly, the approximately 920-mile "crossings" set by American athlete Colin O'Brady, 33, then two days later by British army Captain Louis Rudd, 49, of Britain, were no easy feat. Hauling supply sleds weighing some 375-400 lbs., they faced extreme winds of up to 60 MPH, whiteouts, crevasses and temperatures below minus 40 degrees F.
Both claimed their efforts were solo, unsupported and unassisted, as they man-hauled their supplies without the use of kites or mechanical means. In O'Brady's case, he claimed to achieve the first-ever such crossing, a feat he called "The Impossible First." Members of the exploration community begged to differ, including Norwegian Borge Ousland, now 56, who in 1996 achieved a true crossing, albeit with the use of a "ski sail" for part of the way. Still, he is considered the first explorer to ski alone across Antarctica from coast-to-coast. Rudd and O'Brady began and ended their treks not at the seacoast but at points on the inland facing side of two great ice shelves. The distance they traveled - approximately 920 miles - was only half the 1,864 miles that Ousland covered. Between November 1996 and January 1997, Ousland man-hauled a sled initially laden with 412 pounds of food and gear for 64 days across Antarctica from the ocean edge of the Ronne Ice Shelf to McMurdo Sound, on the seacoast below the Ross Ice Shelf. Until 1997, no one had crossed Antarctica from coast-to-coast without receiving resupply along the way. Ousland's unsupported crossing 22 years ago set the standard for Antarctic crossings that has been unfairly diminished in the current adulation about O'Brady and Rudd. Writes David Roberts in the New York Times (Jan. 3), "It's not surprising that in 2018, the effort to claim the purported first solo, unsupported traverse of Antarctica became an all-out race between two contenders. For sponsored professional adventurers who feel the need to connect in real time to a social media audience, true exploration becomes secondary to the need to set 'records,' to claim 'firsts,' no matter how arbitrarily defined." 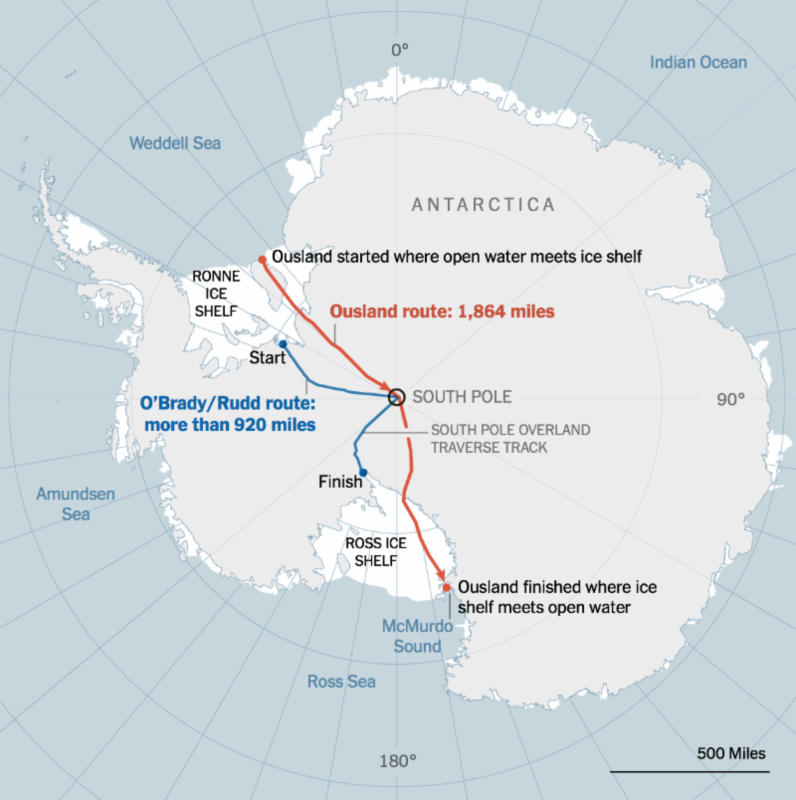 Putting that journey aside, the debate rages whether O'Brady's and Rudd's expeditions from the so-called Messner Start on the Ronne Ice Shelf on Antarctica's eastern coast, stopping short at the Leverett Glacier on the Ross Ice Shelf, can truly be considered a crossing, when Ousland soloed much farther from two opposite coastal points bound by ocean. As the Antarctic historian and mountaineer Damien Gildea argued in a post to the website ExplorersWeb.com, "The ice shelves are land ice and therefore part of the continent. This was accepted by all the earliest polar travelers who did, or attempted, crossings." To us, nothing will ever match a true Antarctic crossing at its widest points - the International Trans-Antarctic Expedition, a 3,741-mile, seven-month feat of endurance by man and sled dogs, from the Antarctic Peninsula to the Soviet scientific research base at Mirnyy on the far coast. You want to talk about crossings, assisted or otherwise, spend seven continuous months out on the Antarctic ice. Then there's the interpretation of "unassisted." The Twittersphere was ablaze with the little known fact that both recent adventurers followed a track, known as the McMurdo-South Pole Highway or the South Pole Overland Traverse (SPOT), for more than 350 miles. Was that not assistance? The SPOT is a flattened trail groomed by tractors towing heavy sledges to resupply the polar station. Flags every 100 meters or so make navigation easier, especially during whiteouts. The route is devoid of sastrugi - the wavelike ridges of hard snow - and is routed to avoid crevasses. Tractor marks are visible in a photograph of O'Brady taken on Day 50. Writes Paul Landry of PolarConsultants.com, one of the best-known polar guides in the world, "I do consider the use of the SPOT road as being assisted as it eliminates the need for navigation and is an advantage to travel conditions - the road offers faster travel conditions compared to the untouched snow beside the road. It is a form of assistance as it allows one to move faster." 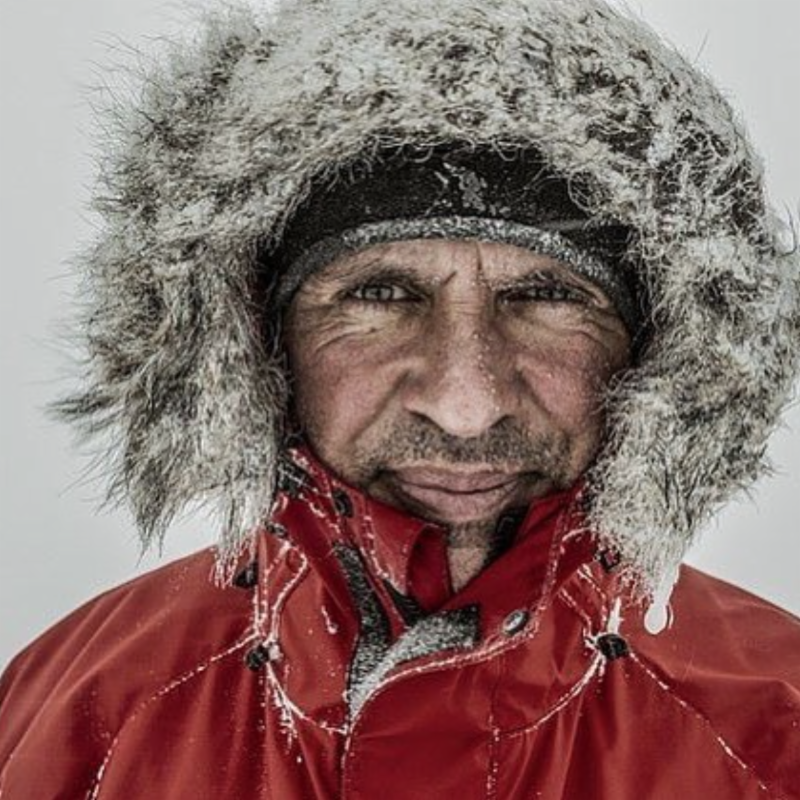 Veteran polar guide Eric Philips of Icetrek Expeditions and Equipment, Hobart, Australia, tells ExplorersWeb.com, "It is a highway (that) more than doubles someone's speed and negates the need for navigation. An expedition cannot be classed as unassisted if someone is skiing on a road." Philips tells EN, "A skier benefits from the road in many ways, particularly after it has been seasonally re-opened - it negates the need for glacier travel skills and equipment, the road and flags are a navigational handrail, the psychological aid of knowing that a road is nearby, rescue is much more simplified (it's very difficult for a plane to land in the middle of a sastrugi field), etc." We reached out to O'Brady via his website but had not received a reply by presstime. While the debate rages about what many consider an assisted partial crossing of Antarctica, polar guides such as Philips, and others, are calling for an agreement about Antarctic/South Pole expeditioning that will include a widely-accepted and fair labeling protocol that some are calling a Polar Expedition Classification System to replace ambiguous terms such as "unsupported" and "unassisted." Philips emails EN, "While we are working on a Polar Expedition Classification System, we will likely still use the terms unassisted and unsupported but apply very strict definitions." This business of superlatives is a tricky one as explorers and adventurers continuously add parameters to records, especially after the fact. No matter how this plays out, Richard Wiese, president of The Explorers Club, the organization whose prestigious flag was carried by O'Brady, writes in an email to Club members, "... the exceptional accomplishments of Ousland, O'Brady and Rudd, all focus important attention on the polar regions and make our global audience far more aware of just how fragile these regions have become." 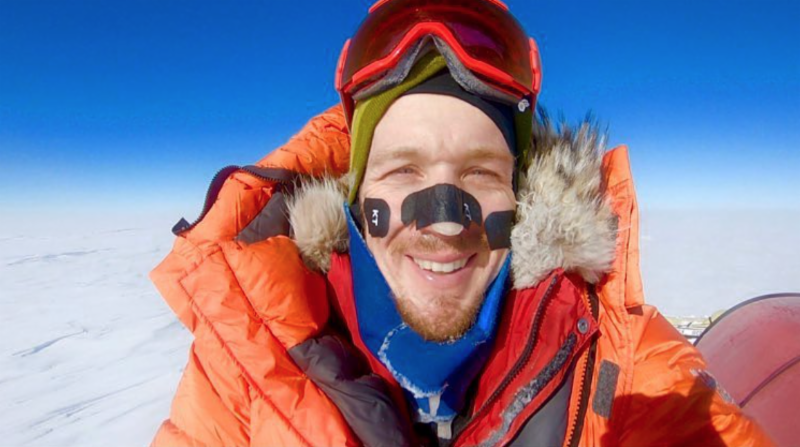 We know that cognitive function is impaired at high altitude, but it's not entirely clear why, writes Alex Hutchinson in a Jan. 5 post on OutsideOnline.com. In 1925, the eminent physiologist Joseph Barcroft, fresh from a pioneering high-altitude research expedition to heights of Cerro de Pasco in Peru, made a provocative claim. "All dwellers at high altitude," he wrote, "are persons of impaired physical and mental power." The accuracy of that statement remains hotly debated, to put it mildly, nearly a century later. Highlanders in the Andes and Himalayas, whose ancestors have lived above 10,000 feet for thousands of years, beg to differ. But for temporary visitors to the highest places on earth, Barcroft's claim is self-evident: mountains make you weak and stupid. According to Hutchinson it's not obvious why. The obvious culprit for reduced cognitive function is the thin high-altitude air depriving your brain of oxygen. The resulting impairment of judgment and decision-making can have serious and sometimes fatal consequences when you're choosing routes, scaling cliffs, and assessing weather and snow conditions. But there are lots of other factors beyond the oxygen levels during a typical alpine expedition that might dull your judgment, such as sleep deprivation, dehydration, and simple physical exhaustion from the prolonged effort it took to get there. Further down in the post he writes, "If you're heading out for a big adventure in the mountains, there's not a whole lot you can do about either the thin air or the prolonged physical exertion. ... Sleep and dehydration, on the other hand, are much more modifiable. 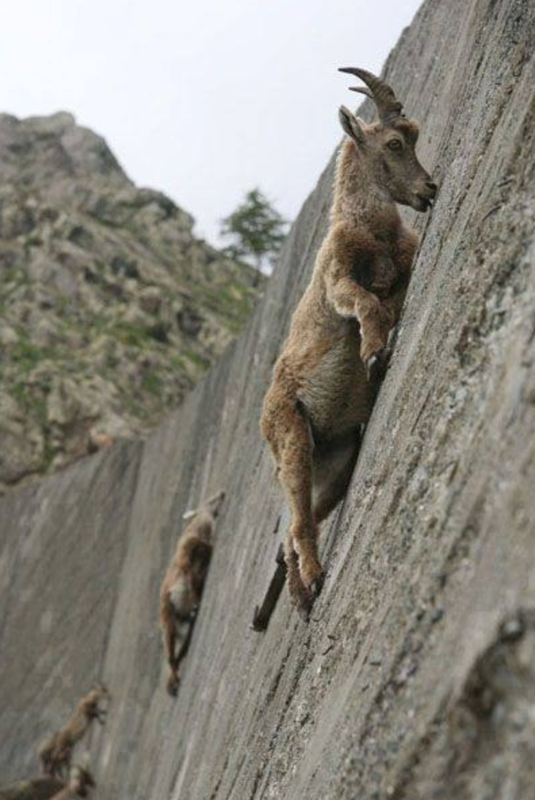 Neither is easy at high altitudes - but if you make them a priority, there's potential for improvement." The New Yorker (Jan. 7) focused its gimlet eye on a reunion at The Explorers Club of two explorers of great renown: Jim Fowler, 88, the zoologist and the former host of Mutual of Omaha's Wild Kingdom, the pioneering nature procedural, and John Atwater Bradley, 87, a retired management consultant, adventurer, raconteur, and exuberant dropper of names. According to writer Nick Paumgarten, Fowler, who was wearing Ugg boots, a safari jacket, and a Citroën ball cap, while Bradley had on yellow slacks, a salmon-colored Princeton reunion blazer (class of 1954), a bawdy-Santa tie, and a straw boater with a black-and-orange band and a pin in the shape of a Thompson submachine gun. Musing on the mission of humanity, Fowler said, "It's to create a quality of life for all the people on the planet. The world of nature is not a very pleasant place. Most living things are fighting and killing and eating each other. I was with some cannibals in Africa years ago, and I asked one of them what his name meant, and he said, 'It means, I'm strong and my axe is sharp, so no one can kill me or eat me.'" Fowler, who the late, late night talk show host Johnny Carson nicknamed "Jim Foul-up," went on: "I've had a few close calls. In the Amazon, I made a mistake. I was approaching an eighteen-foot anaconda, and I slipped. It grabbed me by the hand and swallowed my arm up to the shoulder ... Anaconda have half-inch teeth, so I couldn't pull it out. Sorry, getting gory." The Explorers Club and Fjällräven, the Swedish manufacturer and retailer specializing in outdoor equipment, announced earlier this month "We Love Nature" field grants which will aid in continued exploration and research that helps better understand the environment, a changing climate, and how it is intertwined with wildlife and civilizations around the planet. The program seeks young explorers who are working on sustainability, wildlife, and climate to educate and inspire the next generation of conservationists and explorers. The Explorers Club - Fjällräven Field Grant will award two recipients $5,000 each to aid in sending extraordinary young explorers into the field to conduct critically important research. Proposals must include a focus of saving the preciousness of nature and how the recipient will make a lasting impact on younger up and coming generations who will continue to carry the message. Apply at grants.explorers.org. Deadline is January 21, 2019. Awardees must be 18 - 35 years old at time of award. Many tears were shed when Virgin Galactic CEO George Whiteside urged everyone to hug it out after a Virgin Galactic rocket plane blasted to the edge of space on Dec. 13, capping off years of difficult testing to become the first U.S. commercial human flight to reach space since America's shuttle program ended in 2011. 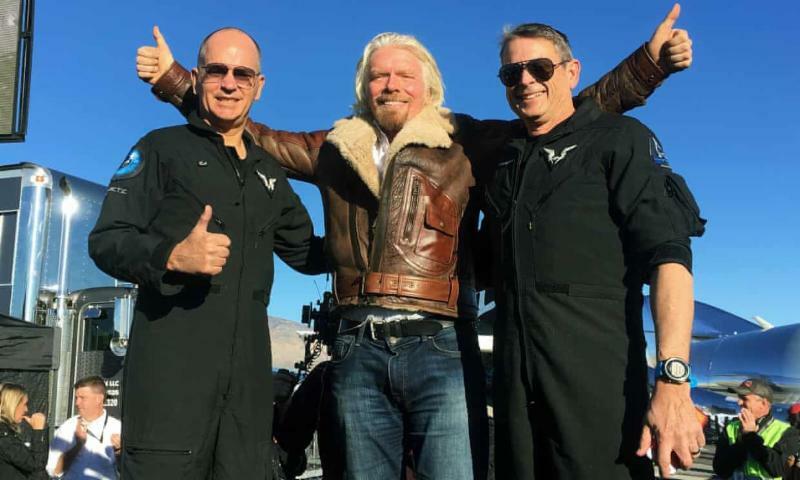 Richard Branson, center, celebrates with pilots Rick 'CJ' Sturckow, left, and Mark 'Forger' Stucky, right. Virgin's airplane-like SpaceShipTwo took off from California's Mojave air and space port, about 90 miles north of Los Angeles. Shaggy, goateed Richard Branson was there dressed in a leather bomber jacket with a fur collar, tearing up before hundreds of spectators. He shared the moment with his 3.2 million Instagram followers, "Many of us cried tears of joy when we reached space, and the air really was filled with love as we celebrated the milestone flight. It certainly was for two of our wonderful team. After the flight, The Spaceship Company flight test engineer Brandon Parrish proposed to his girlfriend Veronica McGowan, a Structural Engineer at The Spaceship Company. What better way to propose than with a ring that had just flown to space? Huge congratulations to the happy couple." Working under the theory that no good deed goes unpunished, Australian astronaut Andy Thomas is quoted in The Guardian (Dec. 17), "It's true that he will fly to the edge of space, but he can't stay there. He falls right back down. It's really just a high-altitude aeroplane flight and a dangerous one at that. As a technology to get humans out into space it's a go nowhere, dead-end technology." 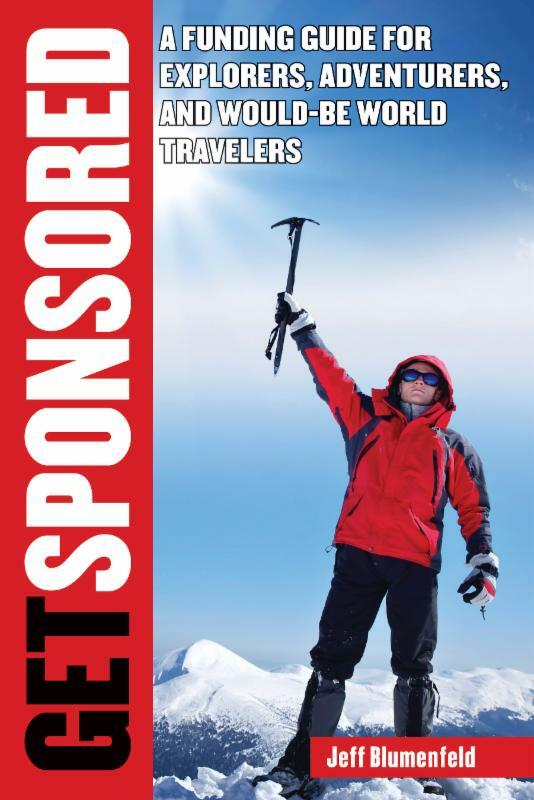 Get Sponsored: A Funding Guide for Explorers, Adventurers and Would Be World Travelers. EXPEDITION NEWS is published by Blumenfeld and Associates, LLC, 290 Laramie Blvd., Boulder, CO 80304 USA. Tel. 203 326 1200, editor@expeditionnews.com. Editor/publisher: Jeff Blumenfeld. Research editor: Lee Kovel. ©2019 Blumenfeld and Associates, Inc. All rights reserved. ISSN: 1526-8977. Subscriptions: US$36/yr. available by e-mail only. Credit card payments accepted through www.paypal.com (made payable to blumassoc@aol.com). Read EXPEDITION NEWS at www.expeditionnews.com. Enjoy the EN blog at www.expeditionnews.blogspot.com.